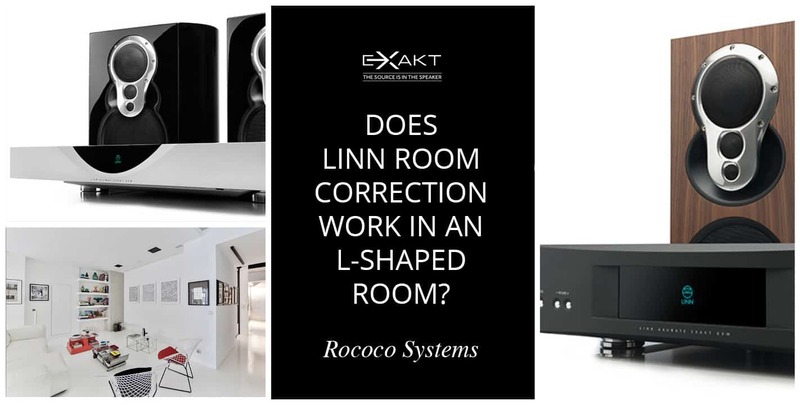 Does Linn Room Correction work in an L-shaped room? A room correction system aims to remove sound distortion from poor speaker positioning and reflective or absorbent surfaces. If you buy a new rug for example and place it in the room, your speaker optimisation may not be at its full potential. However, the room construction can also be a key factor, and it is more difficult to change. The Linn Exakt Room Correction is scientifically designed to help you get the perfect sound, no matter what shape the room is. Rococo Systems and Designs is the UK’s largest Linn Hi-Fi supplier and service centre, with over 30 years of experience with Linn speakers. Our team of experts are dedicated to helping you make the most out of your Linn products and ensuring you utilise them to their full potential. If you are unsure about the shape or construction of your room, why not arrange a home visit by calling one of our offices 01277 890 888 (Essex) or 020 7454 1234 (London)? The specialists at Rococo Systems can provide you with expert advice on the acoustics and layout of your room. They can help you decide where to place the speakers, in order to receive optimal sound quality throughout. Most companies use a microphone to measure the certain points where the hi-fi system sounds the clearest, however there is no way of differentiating what the microphone picks up from the speakers and the sound that is being reflected from the walls and floor. Linn specialists use Space Optimisation technology, taking into account the dimensions of the room (along with construction features such as windows and doors,) the make and model of the speakers, their location and the point where you will be sitting. The specialists at Rococo Systems can also advise you on choosing the best multiroom technology for your home. To discover perfect sound and state of the art technology, take a look at our full range of Linn products online. If you would like to book a slot, and ensure you are making the most out of your Linn products, please do not hesitate to get in touch. Please contact us online to find out more.